Nearly all Illinois DUI cases involve at least the Standardized Field Sobriety Tests (SFST). Some will also involve non-standard field sobriety tests. Southern Illinois criminal defense attorney Brian Roberts is trained in the SFST protocol, and is skilled at evaluating how the officer administered these tests to you, and conducting skillful cross-examinations of the officer who arrested you. 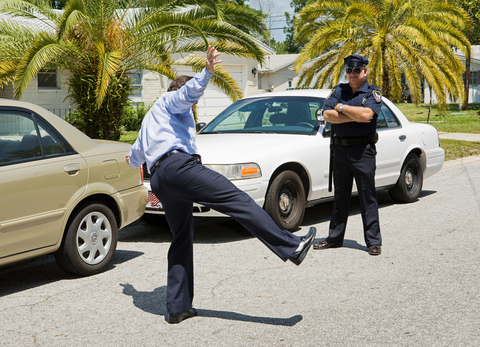 There are only three standardized field sobriety tests. These three tests have some level of scientific validity. Many of the non-standardized field sobriety tests have no scientific validity at all. Even the scientific validity of the standardized tests are highly questionable. Scientific validity requires the scientist to create a protocol, conduct the experiments in exactly the same way every time, evaluate the findings, and then publish their findings so that their peers in the scientific community can conduct identical tests to see whether they get the same results. Even though the SFST’s are said to be standardized, they never underwent the crucial step of peer review. Without this essential step, they cannot truly be called standardized tests. Nonetheless, the government labels them as such. If you have been arrested for an Illinois DUI then call Southern Illinois criminal defense attorney Brian Roberts right now for a free, confidential case evaluation. You only have a limited time to file the appeal of your driver’s license suspension or revocation after an Illinois DUI arrest. Don’t wait, call right now!